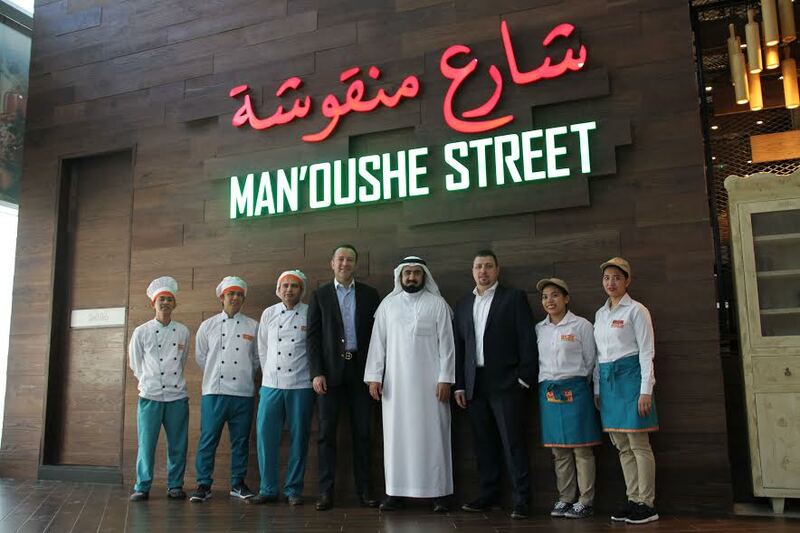 As part of its continuing efforts to expand its presence in the Middle East region, Man’oushe Street, a popular Middle Eastern eatery that serves traditional, home-styled street food, has revealed the signing of a strategic new master franchise agreement with the Al Rajhi Group, a leading international holding investment group in the Kingdom of Saudi Arabia (KSA), to open 25 new branches in Riyadh, where two branches will open before the end of this year. The agreement is being lauded as a timely and strategic move as recent industry reports show fast food value sales in the KSA is being predicted to grow at a compounded annual growth rate (CAGR) of four per cent in the next five years–peaking at SAR 30.1 billion in 2021. Recent reports have shown that the KSA’ s F & B segment has been performing excellently. In fact, the segment is expected to reach USD 121 million in revenue for 2017, showing a CAGR of 14.6 per cent in a market volume of USD 208 million over the next five years. In addition, reports have also forecasted that user penetration will be at nine per cent this year and hit 11.3 per cent by 2021. To date, the average revenue per user (ARPU) amounts to USD 58.42 million. The growth of the country’s fast food segment is widely attributed to the low presence of other entertainment facilities and the increased growth of the kingdom’s young adult population. These two factors, along with the country’s continuing rapid urbanization, has bolstered the segment’s continuing growth, fuelling a demand for food that is fast, affordable and nutritious. “Over the last few years, Man’oushe Street has positioned itself as a leading player in the region’s fast food industry. This new agreement with the Al Rajhi Group demonstrates our efforts to implement a new roadmap towards further reinforcing and expanding our presence in the Middle East. This is a landmark agreement for Man’oushe Street, as it is our first time to enter the KSA market with the initial opening of 25 branches in Riyadh. Rest assured, we remain steadfast in our commitment to work closely with our new partner, the Al Rajhi Group, to make Man’oushe Street a highly preferred fast food brand in the Kingdom,” concluded Jihad El Eit, CEO and Founder, Man’oushe Street.